August 2013 of the British Magazine, Classic and Sports Car. 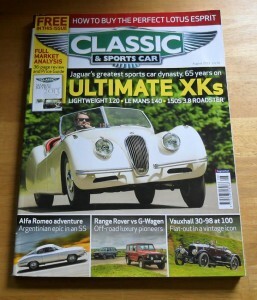 The cover feature of this issue is the Jaguar XK series. Other articles include items on the Range Rover and Mercedes G Wagon, Alfa Romeo SS, Vauxhall 30-98, Lotus Esprit and many more.